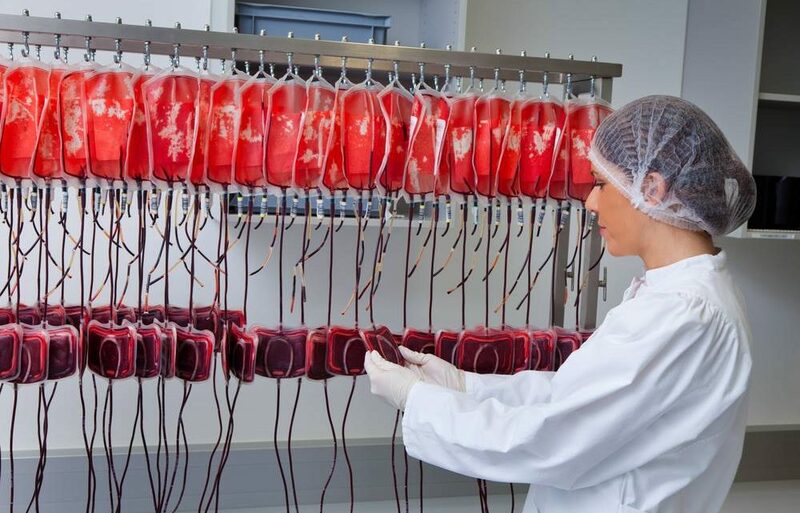 Blood donors in Sweden are sent a text message every time their blood saves a life! Sheppard of Fort Myers, Florida, has given over 300 pints of blood in 60 years. His 39 gal (150 l) of blood has possibly saved almost 1,000 lives. While donating blood, donors in Spokane Washington were treated to an exhibition of paintings hung on the ceiling above their heads. A 1977 comic book featuring the rock band KISS was printed with red ink that had been mixed with the band members’ blood!